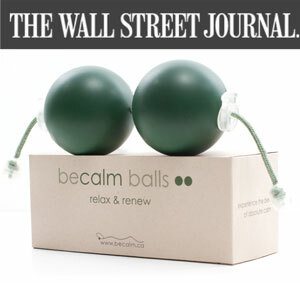 We are excited to share this Wall St Journal article with you that features our Becalm Balls! Becalm Balls enable you to experience instant relaxation that deepens and grows into a state of absolute calm. They are designed to interrupt our stress cycle by triggering the body’s natural ability to bring it to a standstill. This is what is called a therapeutic ‘stillpoint’. When placed behind your head for just a few minutes, Becalm Balls bring you into ‘stillpoint’, allowing your body to repair and renew itself. Based on osteopathy and craniosacral therapy, Becalm Balls are endorsed by health practitioners, athletes, business leaders and performers. 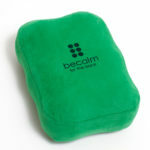 In the past decade, Becalm Balls have helped over 10,000 people worldwide. Read about Becalm Balls in Alive’s August 2011 issue.